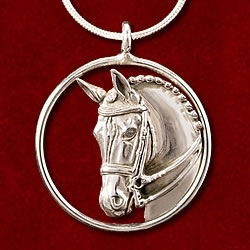 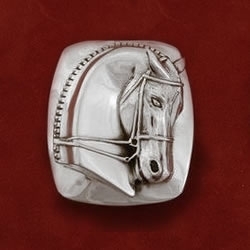 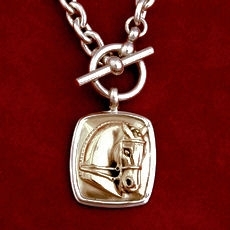 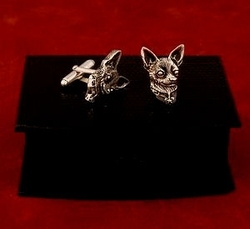 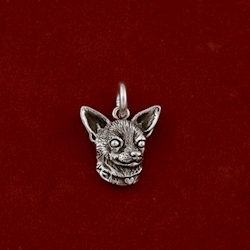 Sterling silver cable chain with toggle and 14K Classic horse head framed in sterling silver. 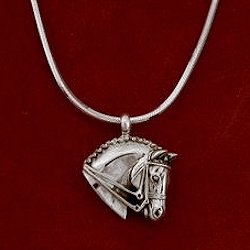 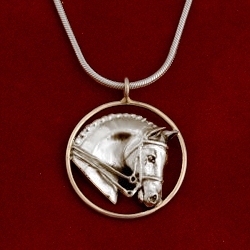 Horse head pendant 7/8″ wide x 1″ long. 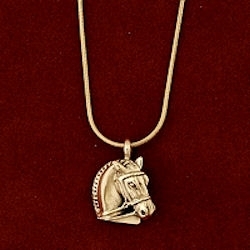 Chain measures 16 1/2″ or specify length.